Sadly but proudly on request of his family, the Southern California Garrison and the Rebel Legion helped lay to rest 25 year old Brett Usher. 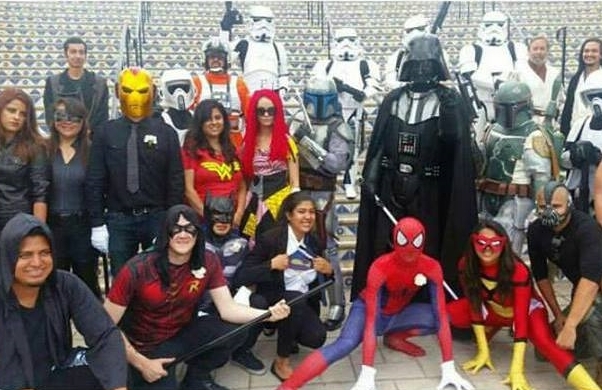 A fellow citizen of Rancho Cucamonga, Brett loved Star Wars and along with his best friend, they were starting the process of becoming 501st members. From attending his services, to hearing all the kind words said and seeing all the love that everyone had for him, he would've been a great addition to our organization. Our attendance meant to great deal to his parents and I would like to thank all the troopers - TK-51342, TK-12715, TK-5621, TK-9208, TK-88800,TK-45466,TK-52227, TD-7328, TB-91728, TB-5549, SL-9087, BH-2384, Shawn-Obi Wan and Jon-X-wing Pilot who were able to come out, some of which took the day off work last minute to do so! 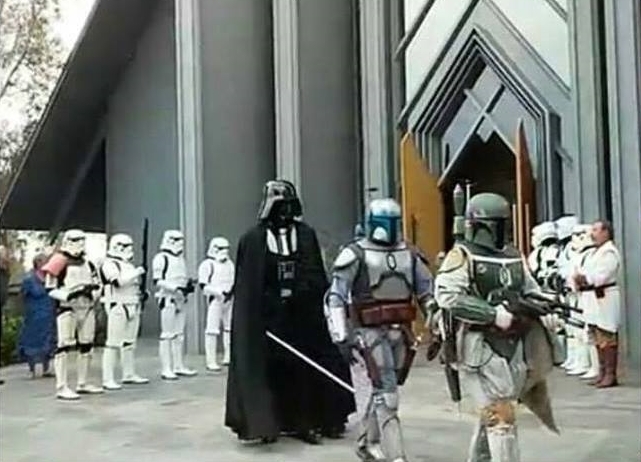 Our Stormtrooper members guarded the entryway while guests approached and then stood at the back wall during the hour long service at attention. Four characters honored Brett by standing on the stage during the service, a difficult task when in costume and during an emotional service. Thank you to Lori who wrote most of these kind words and for the Usher family to allow us to honor this man in a way he would have loved.